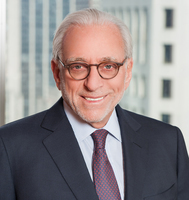 CEO and a founding partner of Trian Fund Management, L.P. (management company for various investment funds and accounts) (2005-present); Chairman of Triarc Companies, Inc. (holding company that owns Arby's Restaurant Group, Inc.) (1993-present); CEO of Triarc Companies, Inc. (1993-2007); Chairman and CEO of Triangle Industries, Inc. (packaging company) (1983-1988); also serves as Chairman of Trian Acquisition I Corp.
Legg Mason, Inc. Legg Mason, Inc. (Legg Mason) is a holding company. Legg Mason is a global asset management company. Sysco North America marketer and distributor of foodservice products. Includes career and company information, investor relations, and recipes. Prostate Cancer Foundation The Prostate Cancer Foundation (PCF) was founded in 1993 to find better treatments and a cure for prostate cancer.